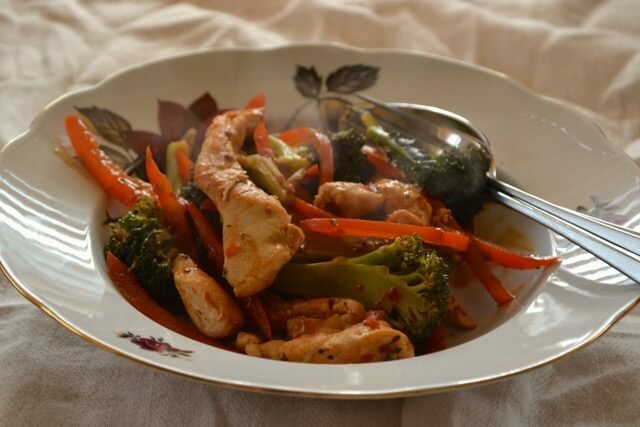 This chilli chicken supper dish takes only 15 minutes to cook including preparation. I also have a lovely competition today for readers with no less than 5 prizes to give away! Why did it take so little time? Well it’s all thanks to the new Flavour Pots from Knorr. I admit I was a bit doubtful over whether they’d become a part of my cooking routine when they arrived a few weeks ago. Not least because I expected the main ingredient to be salt, however the pots are actually low in salt, containing on average 0.6g per portion. That was a pleasant surprise. Some of the flavour pots are more successful than others. For example, the chilli pot that I used in this recipe was good, not too hot and full of chilli flavour. The garlic pot wasn’t brilliant but I’ve found over the years that nothing compares to the real thing, although the garlic flavour pot would do in a hurry. That’s the idea really, to cut down on time spent in the kitchen. If you don’t like the manual labour of preparing herbs and spices and are regularly stuck for time I can see where these pots would become a store cupboard staple. There are 5 flavours in the new range; mixed herbs, garlic, 3 peppercorn, chilli, and curry and cost €2.29 for a pack of 4. I used the curry flavour pot to make a cheeky chicken curry noodle dish the other day and it was a massive hit here. As regular readers will know I do use stock cubes and cooking shortcuts every now and again so these pots are another option worth considering if you’re stuck for time. Put a large heavy bottomed frying pan (or wok) on a high heat. Finely slice the chicken breasts, peppers and broccoli. Place the oil into the frying pan, wait for 2 minutes for it to come up to heat then fry off the chicken breast pieces until they are golden. Remove the chicken from the frying pan and put on kitchen paper to drain off. Add the broccoli and red pepper slices to the frying pan and cook on the high heat. After 3 minutes, spoon in the flavour pot and toss the vegetables until they’re coated in the chilli. Return the chicken to the frying pan and cook with the vegetables for a further 5 minutes. If you would like to win a Knorr Flavour Pot hamper please enter the competition in the widget below. 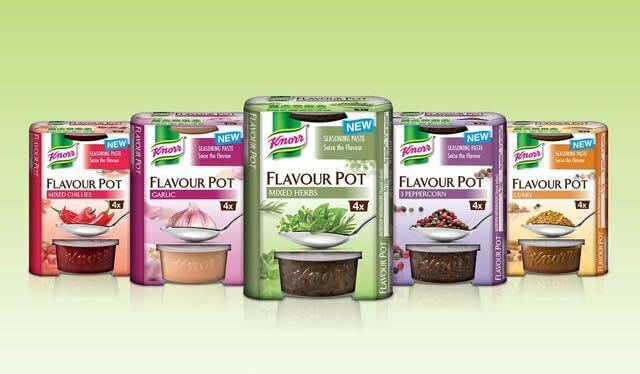 Disclosure: I received samples of the Knorr Flavour Pot range for the purposes of this blogpost. The prizes are provided and fulfilled by Knorr. Entries limited to ROI residents only. All opinions are my own and I am not paid to give them. what do you think about the Garlic pots? I think they are handy in a hurry, but I much prefer fresh Garlic. I far prefer the fresh version but they’re an option if I have none in the house.